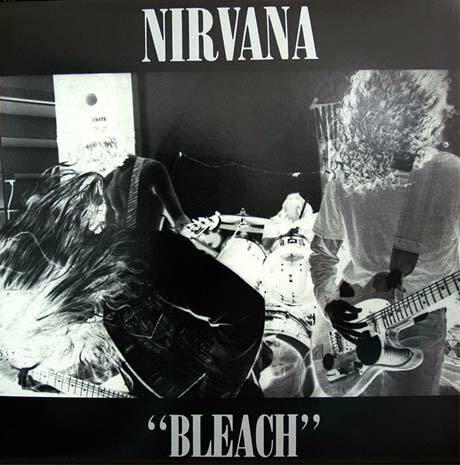 While the rumours have been brewing for awhile now, today we finally have the official announcement: Sub Pop will reissue Nirvana's downright classic debut album, Bleach, to commemorate its 20th anniversary. Due out November 3, the re-release of the 1989 record will feature the original album and, get this, an entire never-before-released live performance. The concert recording is of a show that went down at the Pine Street Theatre in Portland, OR, on February 9, 1990, and Nirvana's setlist included such tracks as "Love Buzz," "About A Girl," "Been a Son" and the Vaselines cover "Molly's Lips." Along with the live disc, the Bleach reissue also packs on some other extras. For the double-CD version, a 48-page booklet will be included, featuring an array of previously unseen photos, and the vinyl version, which will be on white wax for the first run, will have a 16-page LP-sized booklet. Also, Jack Endino, the album's original producer, remastered Bleach from the original tapes, as well as the live concert.